I want to review one of my favorite product that already join my skin care line for 4 months. This product.. 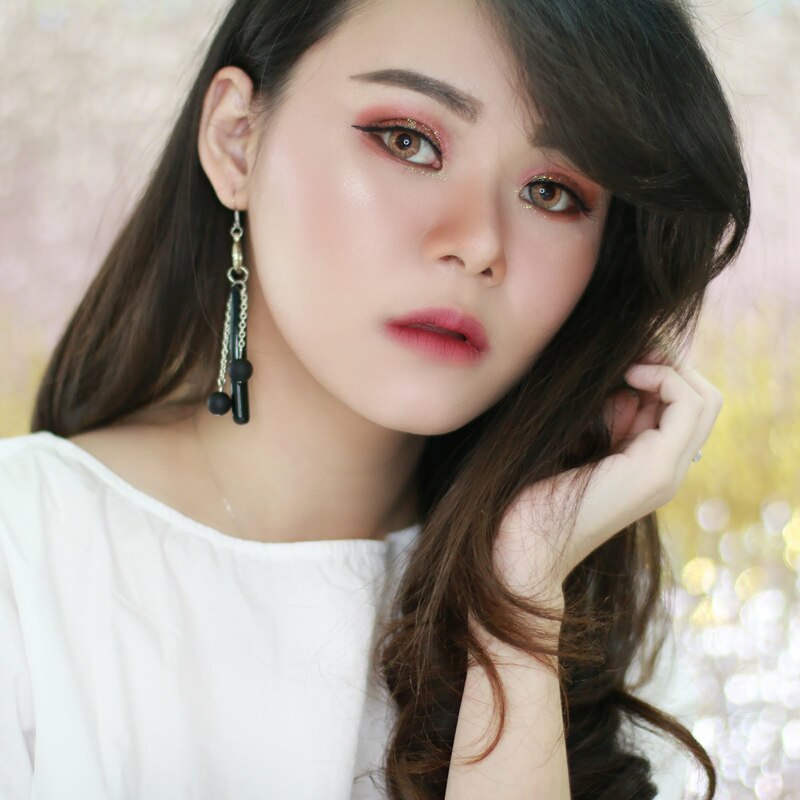 I don't think it has a lot of love in beauty bloggers world, which it deserve to have. 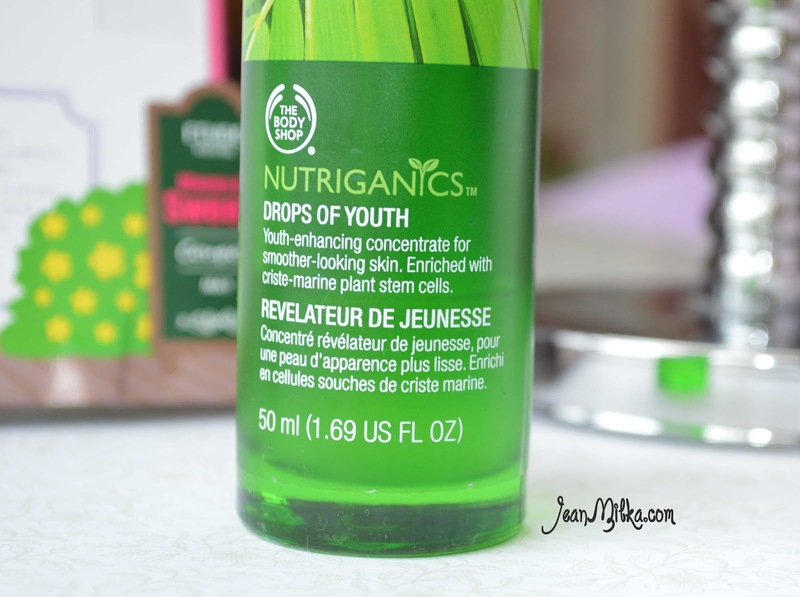 This is The Body Shop Nutriganics Drops of Youth which is one of best seller product form The Body Shop. First time I know about this product is when it was on promotion at Body Shop counter. It comes in 2 size which is 30ml and 50ml. I got mine in biggest size which in 20% off that time. This product Claims that it contains Criste Marine Plant stem cells which is well known as one of ingredients that help to maintain your "young skin" and delay aging. It's also good to enhance surface skin renewal. 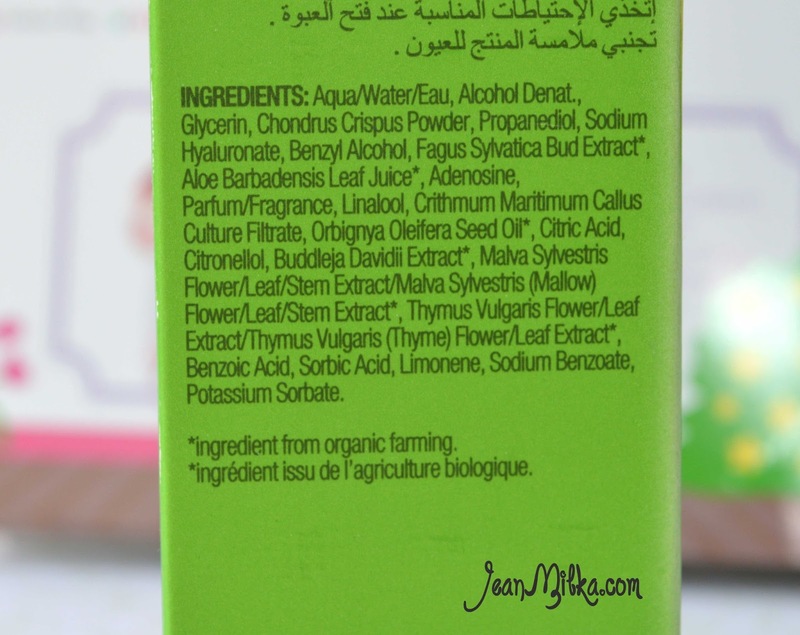 This product supposed to evens your skin tone and leave skin looking smoother, fresheer and healthier. 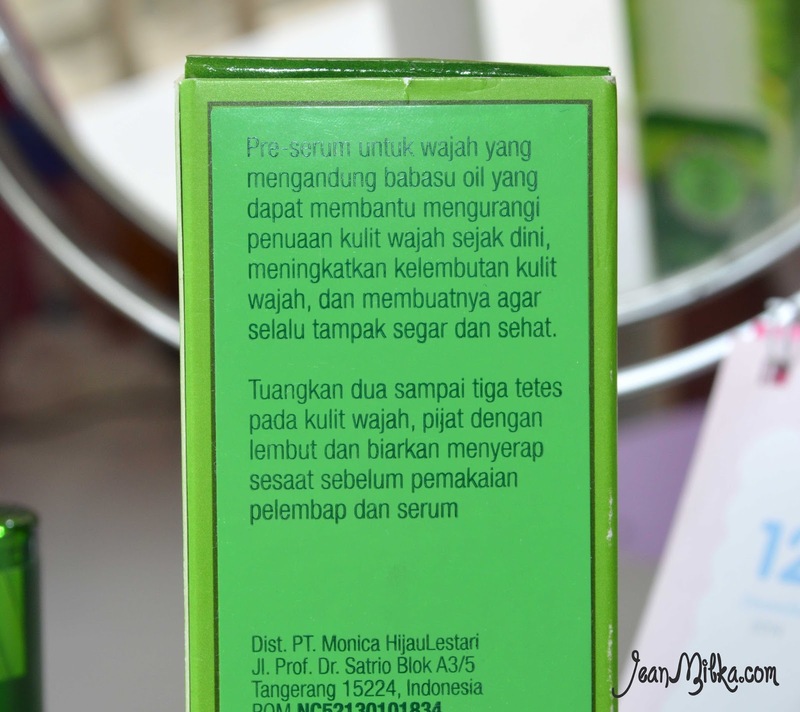 In my Opinion, This product help to even out my skin tone and my skin surface also makes my skin feel smoother. I don't think you can see this effect in a flash, it takes almost 2 month for me to realize that this product give an effect. 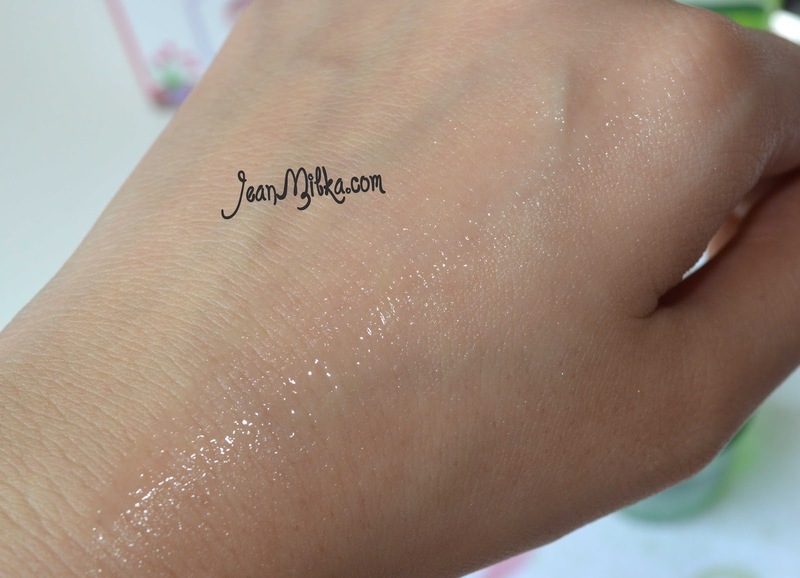 One thing I like about this product is it leave your skin feel smooth and hydrated enough. I can feel it after one night use. It give me enough hydration but I don't think it will moisturize enough for dry skin. It's really good in control my oil and I don't feel oily when I wake up in the morning. I don't think it will be solution for you who try to find an anti aging product. This product will only delay the aging which is for you who is at your 20th. Add product that supposed to delay aging and wrinkles is needed in my opinion. This product leave my skin feel bounce like baby skin *of course still far form the real baby skin". 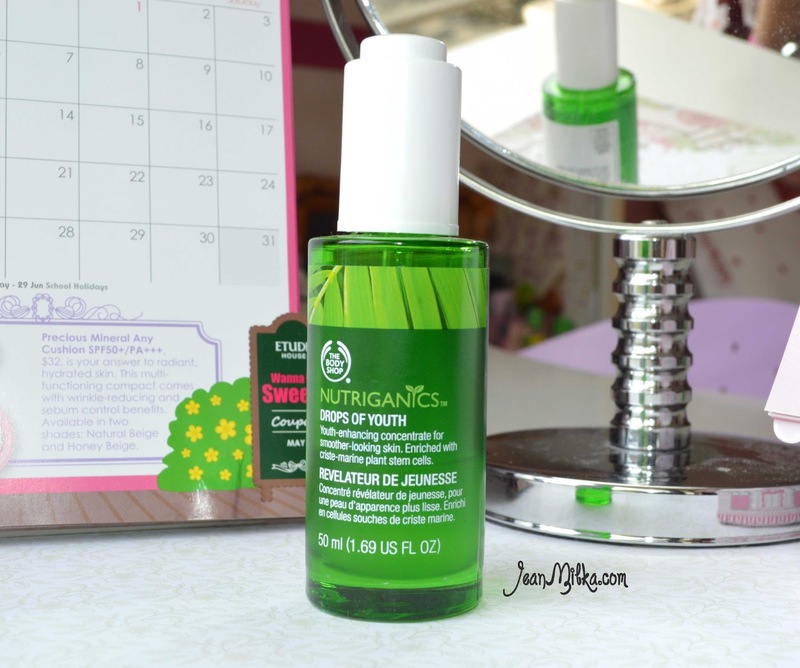 The Body Shop Nutriganics Drop of Youth comes in glass bottle which is not travel friendly. For Application it's provide pipette that attach to the cap which is very hygienic. My complain is this pipette need better sucking power. 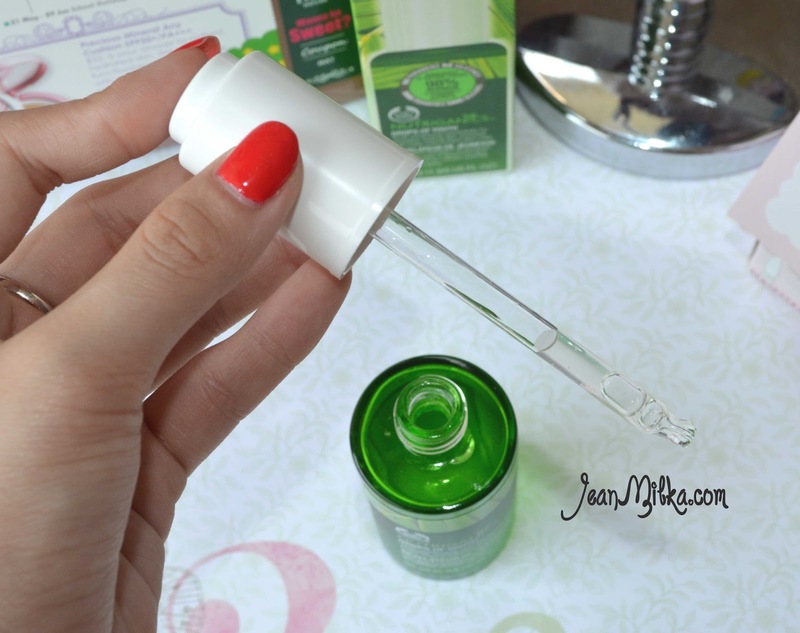 It's clear serum that glides on very easy on your skin. It have fresh herbal scent that I like. It doesn't contains any medicine scent on it. You will need 2 to 3 drops of this product. 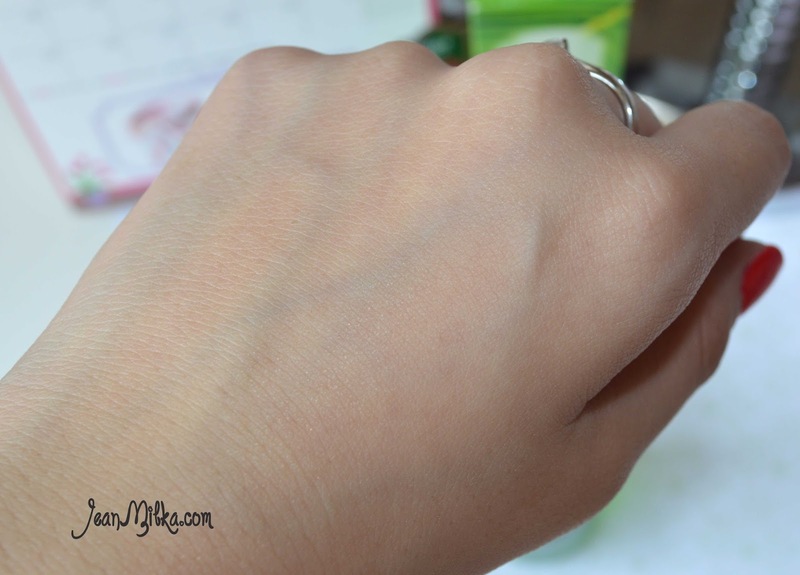 I prefer to drop the product on 3 fingers (point,middle, and ring finger), blend it on my fingers and apply to my skin while massage my skin. It give sticky feeling at the beginning, but after you spared it will absorb to your skin less than a minute. It doesn't leave any sticky or greasy feeling after that. You can feel the smoother feeling after it's absorb. I have tried to find the 50 ml size especially that The Body Shop at Indonesia is have great deals now, but I can't found it anywhere. It only different 100.000 IDR between small and large size but the products is almost 40% more. That is all for my review. Readers : have you tried this product? what do you think? 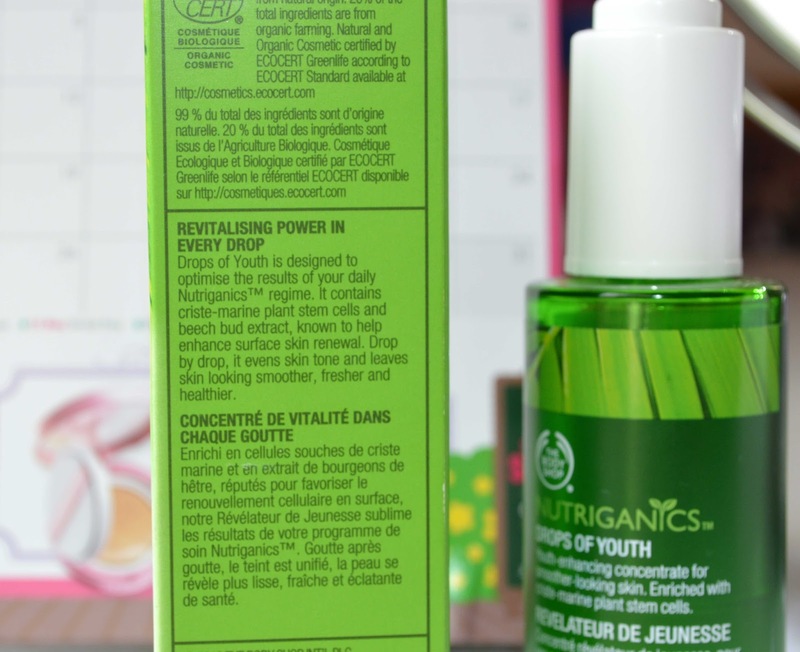 10 komentar on "The Body Shop Drop of Youth Product Review"
wah kapan hari ke counter bodyshop liat ini nyesel gak beli karena gak yakin..
Memangnya umur seaku itu boleh ga seh pakai doy ini Ka?